Remember, it took some time to get there and it will take time, hard work, discipline and patience to get rid of it. You may wish otherwise, but there is no magic pill here. Also the way you look is not the most important concern about this. It’s a health hazard so the best thing you can do for yourself is commit to understanding how to lose belly fat. You will look and feel better. It’s win-win situation. I get so many questions from people that exercise like crazy but can’t seem to lose belly fat. The first thing I always ask is “what do you eat?” By now, you should know that what you eat is as important as your exercise. If you don’t know, then you heard it here first. I am a wealth of information. Now listen up! If you are still eating processed foods that are full of non-nutritional ingredients, transfats, and other fake stuff, it’s no surprise that you have extra fat around your belly. Does refined sugar sound familiar? This ingredient is found in so many processed foods that I lost count! Eating like this actually adds to your midsection fat, even if you eat less of it. So if you want to know how to lose belly fat, you must keep an open mind about changing the type of foods that you eat. Right? Not just less food, but nutritionally rich foods. Here are some tips to help you transition your eating habits so you can lose belly fat. Keep exercising. This is a must-do. If you are already exercising, keep doing it. If you are not, start an exercise program so you can burn calories! Even if you walk for 30-minutes 3 or 4 times a week, it’s better than doing zero. Eat less calories. OK, this is a given but I thought I would mention it anyway. In order to lose weight, you need to create a calorie deficit. To lose one pound in a week, you have to eat 3500 less calories. That means you’ll have to create a 500-calorie a day deficit. Eat less! Try for two pounds a week, which means 1000 less calories a day. I know, you are probably saying, “1000 calories a day! I barely eat that much!” Most people (even me!) usually have no idea how much they actually eat. It is the difference between perception and what really happens. Keep a food diary and see for yourself. Change the type of food you eat. If you are eating processed foods or fast foods, or even eating out every day, you continue to have this problem. 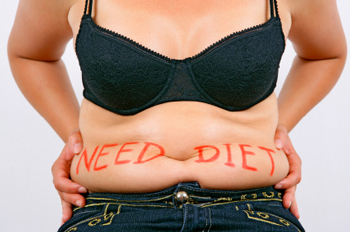 The most important tip on how to lose belly fat is to eat a healthy, low-fat diet. The operative word here is healthy. Get some real food into your system like fruits, vegetable, and proteins that are low fat. Now that you have more knowledge about how to lose belly fat, it’s up to you. Remember, it all starts with you. If it’s important to you, then you will implement healthier choices in your diet. If it really does not matter too much, then you won’t. So what do you want? I hope you enjoyed this article about how to lose belly fat! Go get Shakeology to get a head start on health.